When you arrive in Bada we start by asking you to fill out a questionnaire. This gives us a starting point to understand your situation and what areas of the body we will work with. Following this we use ATM express to test your organs and obtain an objective view of your overall health status. Using the results of this analysis we create a plan for the order of your treatments. This enables us to create the biggest possible improvement to your health in the time you have with us. The actual measurement of the body’s organs only takes a few minutes. 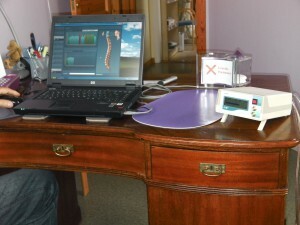 The information from this measurement is immediately displayed on the therapists computer screen using software developed by Alti-Med. We are then able to test each organ for a variety of conditions, including the presence of unwelcome guests such as pathogenic bacteria, fungi and viruses. The meridians are the body’s energy and information highways. 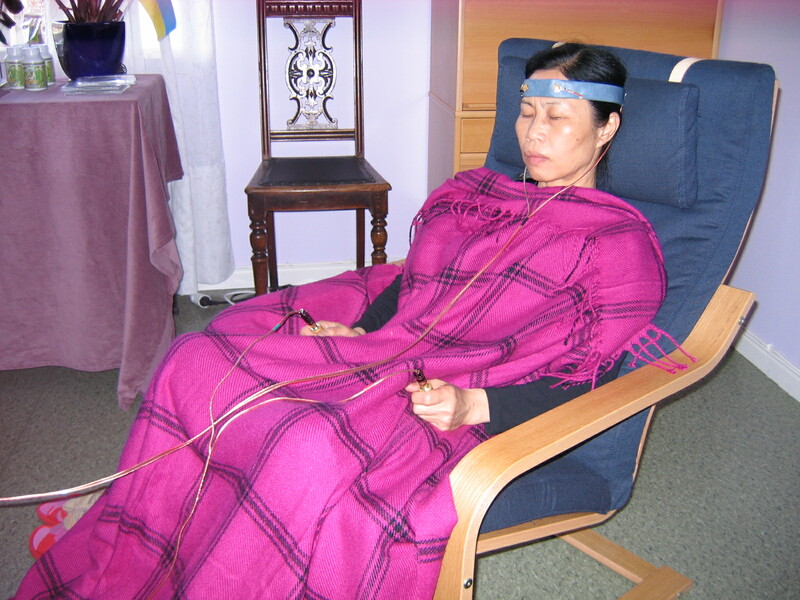 In Asia, knowledge of the meridians has been used for thousands of years to create and maintain good health. In Bada we are able to combine this ancient knowledge with modern technology using ATM express. There are 14 major meridians in the human body. Each meridian either starts or finishes in the head, hands or feet. The patient holds two brass cylinders in their hands, puts two brass plates under their feet and has two brass disks on their forehead. Through these six points all of the meridians and organs can be measured and treated. 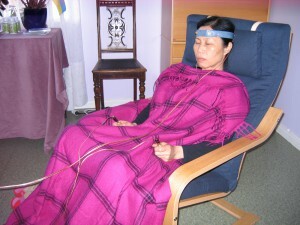 The body’s meridians are represented by different bars in a chart that is displayed on the therapists computer screen. This allows the patient to get a picture of the changes taking place during the course of their treatment.